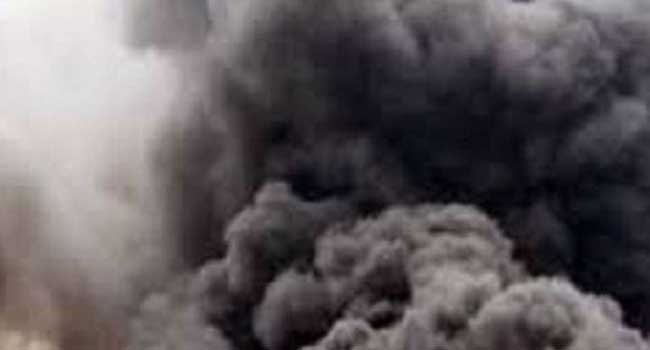 Two female suicide bombers on Saturday detonated their explosive belts killing themselves and 13 others in Biu town, Biu Local Government Area of Borno State. No fewer than 15 people have been reportedly killed and 53 others injured in a twin suicide bomb attacks on Biu market on Saturday. Biu is the biggest town in the South of Borno State, and this is one of the worst attacks on the town by suspected members of Boko Haram. According to a statement by the spokesman for the Borno State Police Command, Victor Isuku, a Deputy Superintendent of Police, two female suicide attackers strapped with explosives launched the attack on the main market in the town, the third largest in Borno State, the birth place of Boko Haram. The statement read: “Today 2/2/2017 at about 1140hrs, two female suicide bombers infiltrated and gained entry into Biu town in Biu Local Government Area. “One of the bombers detonated the IED strapped on her body within Biu main market, while the other one detonated hers outside the market square. “So far, a total of 13 persons excluding the two suicide bombers, have been confirmed killed in the two explosions. While 53 others sustained various degrees of injuries". According to him, police patrols/EOD teams led by the Acting Area Commander Biu were promptly mobilised and dispatched to the scene. He said: “The Corpses and the injured persons have been evacuated to General Hospital Biu". Normalcy has been restored and the area was safe, he added.